Does it ever happen to you that you are hugging someone and you close your eyes for a moment, but you don't want to open them again? You start to get kind of comfortable and your mind gets blank. You start taking a mini nap on the person's shoulder?! Sigh. 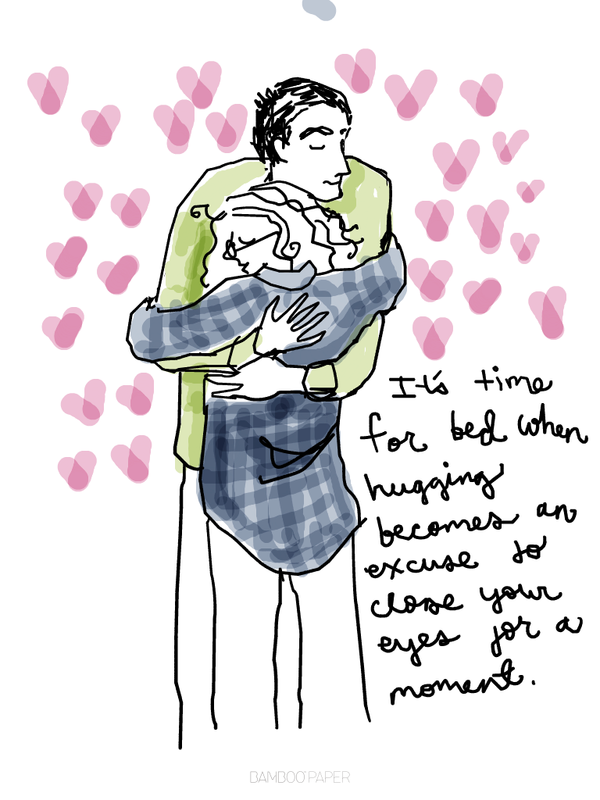 THAT is when you know that it is time to stop hugging and GO TO BED. That is what I need to go do right now. Goodbye.